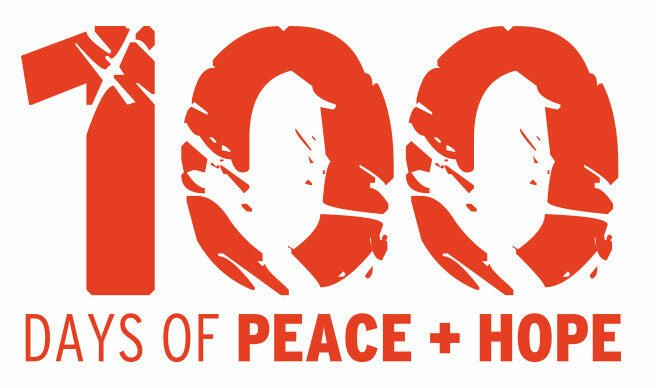 100 Days of Peace and Prayer is a call for the church and individuals to pray for peace and hope in the world leading up to Remembrance Day. 100 years ago on 4th August 1918, on the fourth anniversary of the outbreak of the Great War, King George V and Queen Mary led the nation and the commonwealth in a day of prayer for peace. God answered those faithful prayers and 100 days later, the War ended. The Church today has organised a similar call to prayer, believing that when we pray, God hears our prayers. This is special opportunity for us to join in with prayers for peace and receive a daily prayer email and special resources to access online which will help us as we prepare for Remembrance Day in our Church, community and schools and also in inviting others to join in with us.